According to latest rumors coming out of China, Xiaomi is set to release a new device with the name Redmi 4. The said rumors has it that, the upcoming device from Xiaomi will spot a 5inches screen display with 1080p resolution (up from 720p). There will be a 13MP camera sitted at the back with a single LED Flash and a 5MP front camera for the selfie lovers. The upcoming Xiaomi Redmi 4 will pack a 3GB of RAM and a 32GB of inbuilt storage, just the same specifications with the Redmi 3s and 3s Prime. 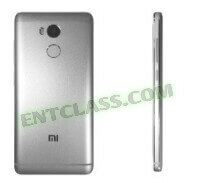 Redmi 4 will be designed in full metal body, that will be coming in Gray, Silver and Gold. 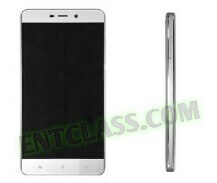 The phone will be powered by an unnamed Snapdragon chipset with an octa-core processor. There will be a 4000mAh battery capacity to power on the device. Oh, i can see a Fingerprint scanner located at the back. The phone is said to be sold for CNY 1,300 ($190/€175), close to double what the original Redmi 3 cost. By the way, the international variant of the Redmi 3s is €160 currently.